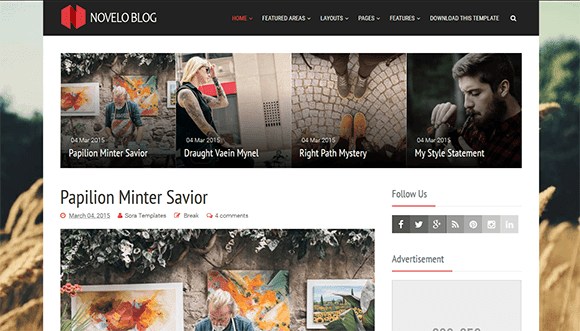 Novelo is a clean content focus Blogging Theme. It has Powerful admin panel, Intricate development and a pack of essential features really makes Pick to stand out. Novelo is suitable for any kind of personal, travel, hobby, life style and tutorial blog etc. Installing and customizing this theme is very easy. All required informations are provided in documentation.